How I love piping. It is a reasonably dignified way to add a little interest to almost everything, with the added bonus of making any seam where it's used look especially crisp. The Cisse Pants by Zonen 09 use piping to its best advantage, but you can add it at the seam of almost anything. This detail comes from the the Theo Button Up Shirt by Zonen 09, but is easily replicated elsewhere. I don't like a lot of matchy, matchy quilting cotton on anything. 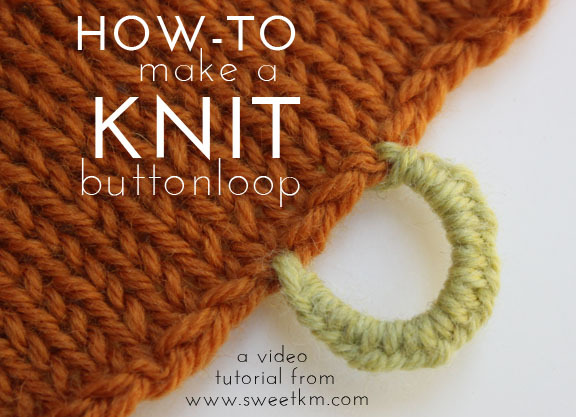 The corner cut (like piping) allows me to add a personalized pop of color to an otherwise simple garment. I don't know if Trine of Groovy Baby and Mama invented this, but she certainly has made them famous. 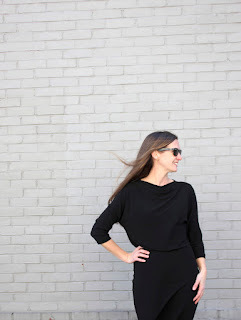 A contrasting fabric at the shoulder is a really sleek way to add some subtle detail to t-shirts. The Rowan Tee by Titchy Threads comes with the shoulder stripes built in. I am partial to quilting as a way to add structural interest to just about anything. I like that it adds warmth, durability, and visual interest. Topstitching is the warm weather cousin of quilting, and a great way to highlight a specific piece of the garment, particularly bottoms. 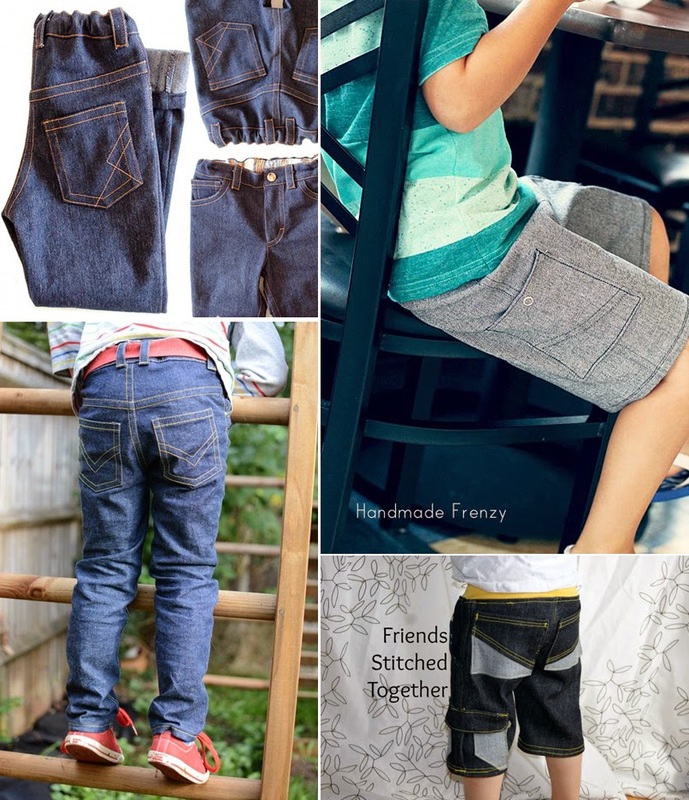 The Small Fry Skinny Jeans and Kudzu Cargos are two patterns that really lend themselves to topstitched embellishment. Color blocking might be the simplest way to change up a wide expanse of boring. 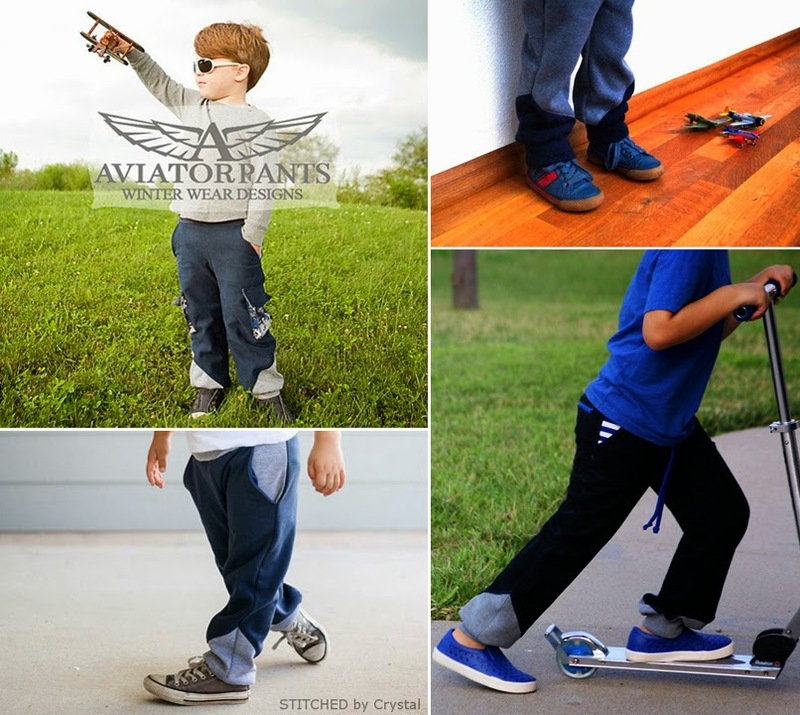 I recently came across the Aviator Pants by Winter Wear. This pattern uses diagonal color blocking at the ankle. It's simple, unique, and most importantly versatile. 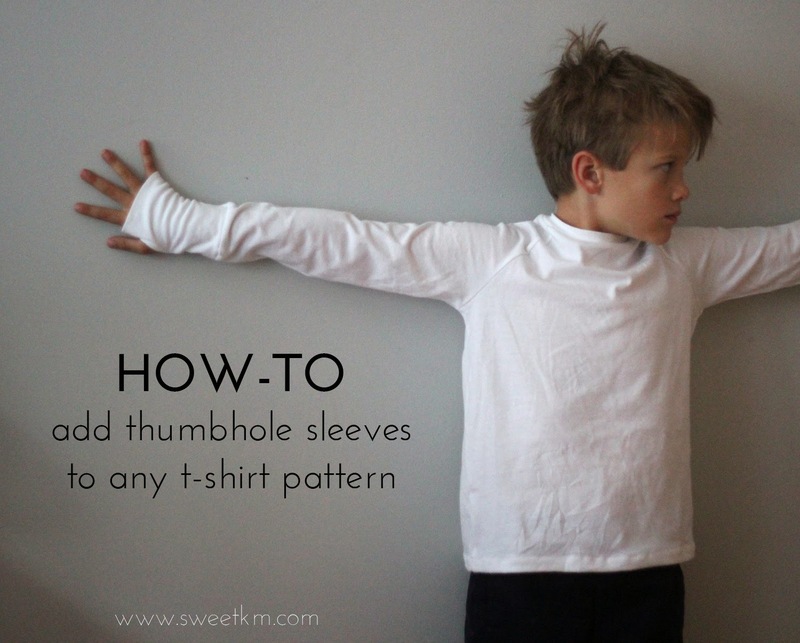 I could see doing the same thing at the wrist for any knit top. You might be seeing more of this from me in future. 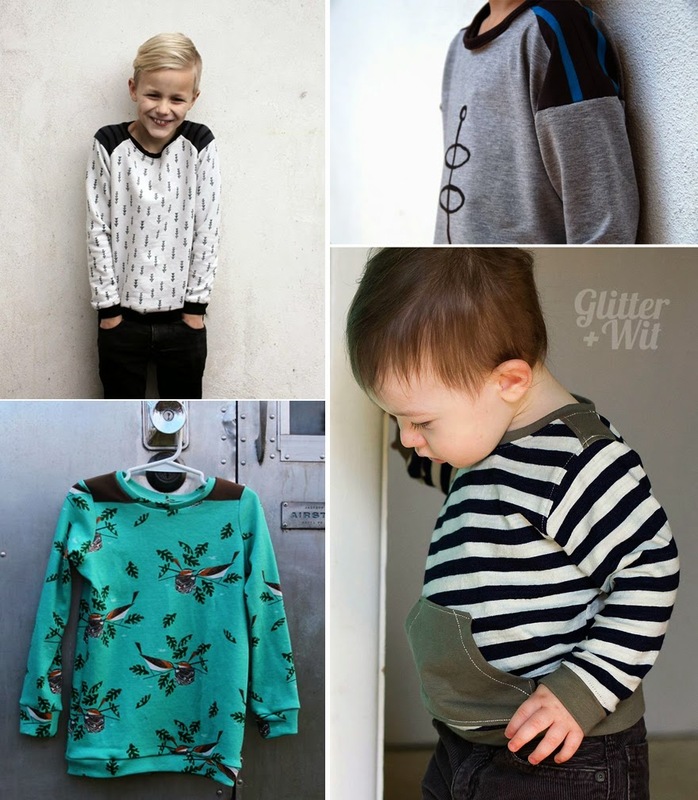 All of these examples and more are on the Sewing for Boys board on Pinterest. 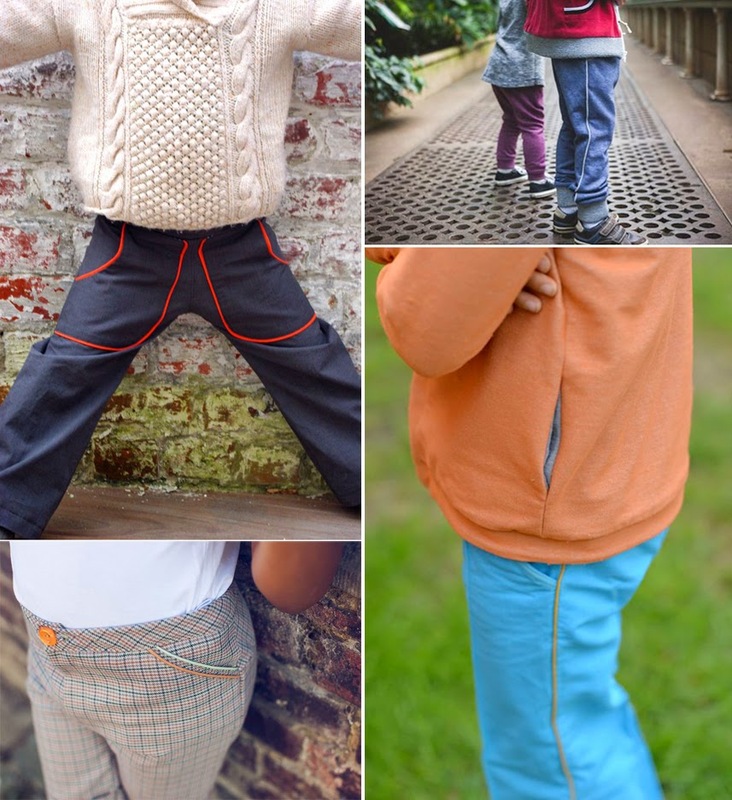 Do you sew for a boy? What tricks do you use to liven up his handmade wardrobe? It was TOUGH to narrow this list down to 5. What do you think I should have included? I suspect that if I'm up into the wee hours of the night searching for a certain style of sewing pattern, others are probably shopping for it, too. With the 5 More series I try to sift through the mountains of patterns, and possibilities in search of 5 safe bets, for good results. 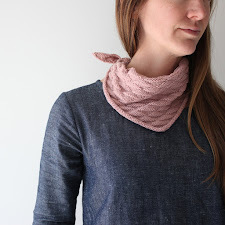 Haha, I'm now browsing through your posts and notice several things that I just mentioned: the flowered bimaa cowl, the flowered pocket trims, and the shawl collared Bimaa. Love your style! All great ideas. I love the side tab idea, and never use it...filing that one away for later! Love your post! 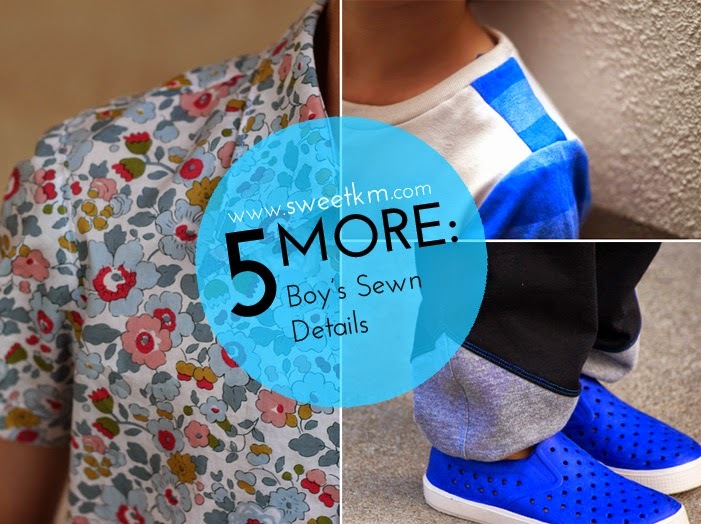 Details can really make the outfit stand out when sewing for boys. 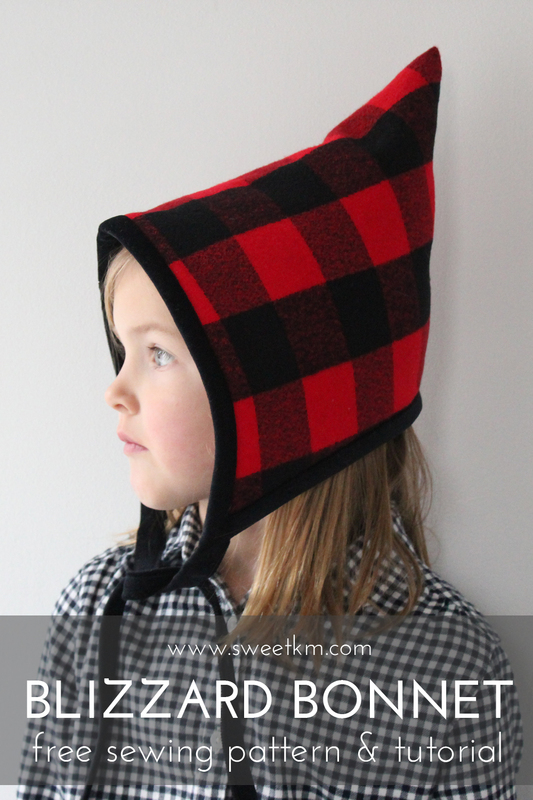 Fun seeing some of my work here :) Elbow patches is another possibility. Front pintuck is genius! Filing that idea away, too. So simple! 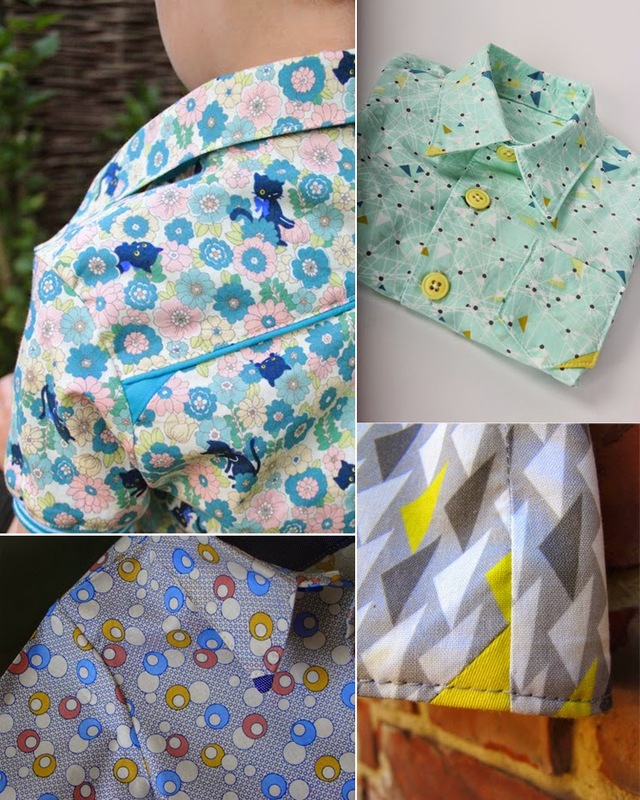 Thank you for mentioning Zonen 09 patterns! My pleasure! It's no secret I love you're stuff.